The 2nd workshop of the High Performance Coaching Project 2016 conducted by Tai Beng Hai completed successfully from 13 to 15 May in HCMC, Vietnam. The 2nd workshop of the High Performance Coaching Project 2016 conducted by Tai Beng Hai completed successfully from 13 to 15 May in HCMC, Vietnam. 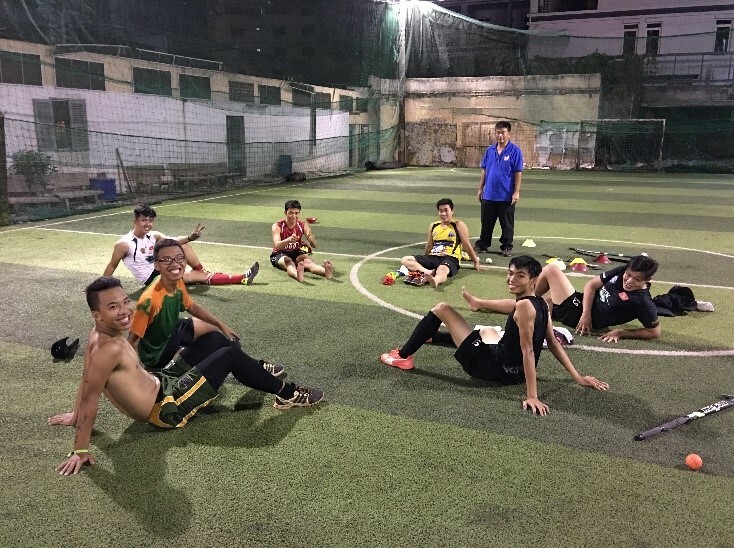 Three sessions were conducted at the Vietnam Hockey Centre in Long An Province and one session at the Su Van Hanh pitch, District 10. It was attended by a total of twelve players of the Vietnam National Men Hockey Team. Beng Hai flew back to Malaysia on the 16 May morning. Following a video assessment of the performance of the team and the understanding of the game plans by the players at the Hockey World League in Singapore (9-17 April 2016), Beng Hai proceeded to have a meeting with the individual players and draw up a High Performance Program for the players to raise the level of hockey comprising amongst other things such as high tempo hockey drills on the pitch to simulate match conditions focusing on aerobic fitness, ball control/protection and tackling for both the outfield players and goalies. Beng Hai will also address the team on further hockey drills and aerobic fitness exercises in due course. Other subjects discussed with the Vietnam Hockey Federation is the planning and preparation for the 29th SEA Games in Kuala Lumpur in 2017. 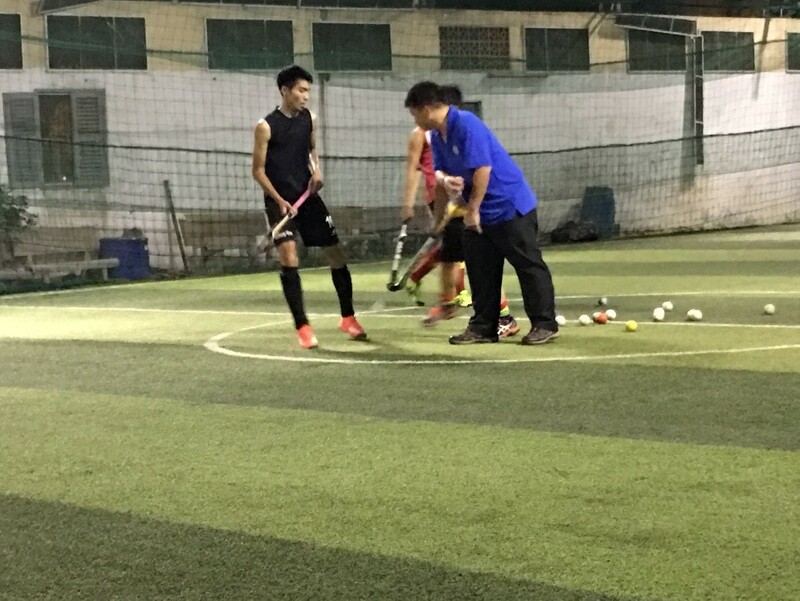 The need to send senior Vietnamese hockey players to take up coaching courses, Vietnam Hockey website for communication and also the Hockey 5s League starting on 7 July 2016. The FIH High Performance has a noticeable impact on the Vietnamese players and they have benefited again. Visit our website for the news on development of Hockey in Asia. Follow our Facebook and Twitter feeds and stay informed! Check out pictures from around the continent on our Instagram. Tai Beng Hai coaching the players on field. Vietnam Hockey Federation is preparing for the 29th SEA Games in Kuala Lumpur in 2017.